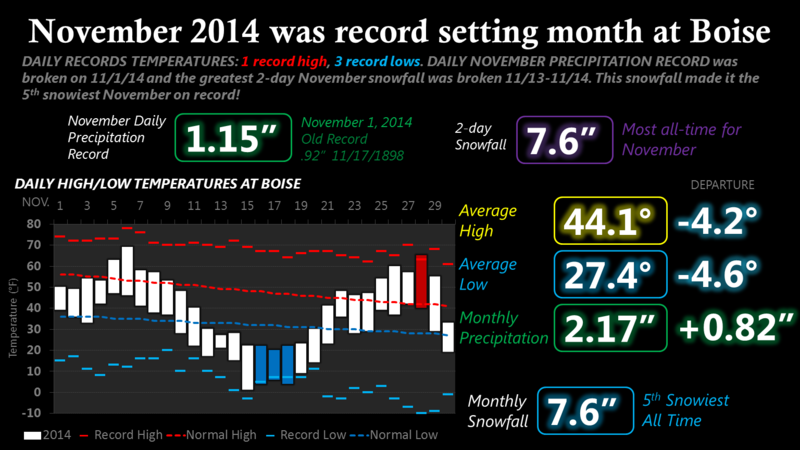 November 2014 had several weather records fall for Boise. Including 4 daily temperature records, the daily precipitation record & 2-day snowfall for November. November 2014 will also go down as the 5th snowiest November in Boise weather history since 1899.